Now that you have your offer created, it's time to build a page that speaks to those attributes and tell visitors why they should give up their email address and download the offer. Let me preface this by saying one thing: The following process is the same whether you're using HubSpot or WordPress or any other number of platforms. Personally, I use HubSpot. It takes me no time at all to put together a whole campaign, instead the most difficult part is the content, as it should be. But you can still follow along on other platforms as well. First, the form. This is the true value of a landing page and where so many people make mistakes. If your offer is for top of the funnel prospects— the folks who are just researching what their problem is— then you don't really need to know all the details of their life. You need an email address and a first name for personalizing email. Anything more is a barrier for entry, making it less likely they'll fill out a form. If your offer is a pricing guide for your services, then you'll want to funnel those leads towards sales; you will need to ask for more info. If you have the option for progressive fields and the prospect has downloaded something from you before, then you'll already have some of the info filled out. However, be sure to make one small tweak to a form— don't just leave the button saying Submit. Change it to Download or Get Your Copy or something similar. It's a small extra touch that takes next to no extra time and personalizes the experience for the prospect. Don't forget to add the common SEO elements like meta description, page title, and alt text on any images. When the page is created, add the form in along with copy promoting the offer. The copy should be short, explaining why someone should download the offer. What problem does it address? What question does it answer? Who is the offer really for? Bring in some of your research and speak directly to the prospect. Include a few examples of what they'll learn when they download the offer. The next things to create are a thank you page and a thank you email. These are optional, because in the form you can link to the offer in the thank you submission text, but creating a separate page to redirect to is better. Then, you can add back the menu and include a secondary call to action to another offer, a free consultation, or to subscribe to your blog. The thank you email is a nice touch. You can customize the language, plus you're establishing a relationship with their email account, so future emails are more likely to not end up in the spam folder. The final thing to do before it's time to test is adding the links to thank you pages and setting up the autoresponder email. Now, go through the process of filling out the form yourself. Open the page and fill out the form. Make sure it redirects you to the thank you page, and verify you got the thank you email in your inbox. Send it out to colleagues and see what they think. Ask your Sales team to send it to a couple of prospects and start capturing lead data. 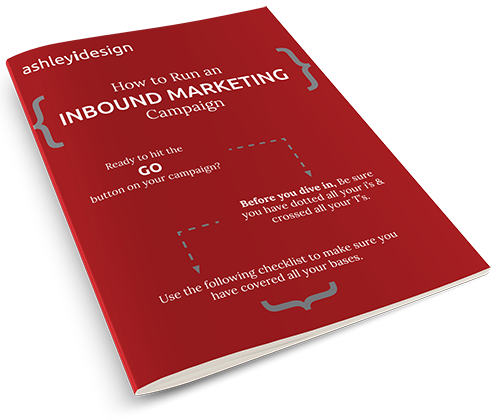 For more examples of landing pages that work, and why, take a look at this article. Landing pages are often the first touch a prospect has with your business and need to convey a number of things: trust, authenticity, expertise and a willingness to share knowledge with them.